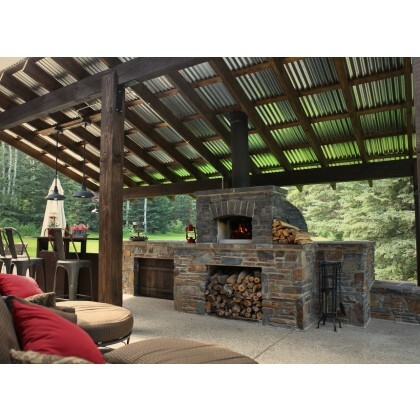 Pizza oven kits are a great way to get your own pizza oven, your way! These kits come larger than ready to go oven and if you are willing to invest time and effort into assembly you can make your oven look exactly like you want it. Another benefit is being able to install your oven in places inaccessible to single-piece ovens: the kits are modular and come in 9-15 pieces all of which are liftable by a maximum of 2 people, which means the entire oven can be carried anywhere piece by piece. yet another benefit is the size of the oven: you can assemble for yourself a larger oven than you can buy. These modular ovens kits are some of our most popular ovens!